NAIROBI, Kenya, Apr 5 – Residents of Umoja III in Embakasi constituency woke up to a rude shock following demolitions that started at 5.30 on Thursday morning. Those affected said they had not received any notifications about the early demolitions of the places they once called home. “I bought this piece of land then I built on it. I got a phone call very early in the morning from the people who live in my flat telling me about the demolitions. 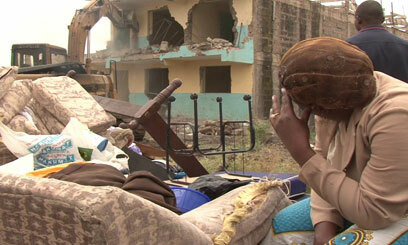 I just rushed to Umoja to find them demolishing,” Daniel Kirima one of the landlord’s said. Kirima explained that none of them had been informed if the pieces of land they owned were in question as they had purchased plots from different sellers. The residents who watched helplessly as a bulldozer pulled down flat after flat in the full watch of the police allege that three private developers are behind the demolitions. “There are three people who claim they own this land. We don’t know them but those carrying out the demolitions have told us that they have a court order asking them to clear the houses on that land. They say it is private land,” another landlord alleged. When Capital FM News left the scene shortly before 1pm, about 60 houses had been destroyed leaving occupants stranded with their families in the chilly weather. They salvaged what they could as they rushed in and out of their houses before the bulldozer got to their flats. There was heavy police presence to control the angry mobs who were too saddened to watch their homes flattened. Children and their mothers settled with their household belongings outside their flats as their fathers rushed in and out trying to remove building materials that could be re-used. Desperate and deep in thoughts, parents sat outside guarding the little they had saved pondering on the next move. Children innocently sat or played most probably unaware of their displacement. There were no government officials on the ground to explain why the demolitions were being carried out in the huge piece of land opposite Benrose in Umoja III. Earlier, Water Assistant Minister Ferdinand Waititu was arrested for trying to stop demolition of the houses in his constituency. Witnesses said the MP accompanied by a group of youths stormed the demolition site demanding that the exercise be stopped. Nairobi Police boss Antony Kibuchi said the group started throwing stones at the police when they were ordered to leave the site. The demolitions in Umoja come few months after similar destruction in Syokimau that saw palatial homes razed. People affected by the demolitions have questioned the government’s role in protecting Kenyans and checking legality of land ownership in the country. In the Syokimau incident, corruption cartels at the Lands Ministry were blamed for giving fake title deeds to the alleged land owners. Despite the huge public outcry, Kenyans are yet to see the government crackdown on conmen who sell land illegally to unsuspecting fellow citizens. 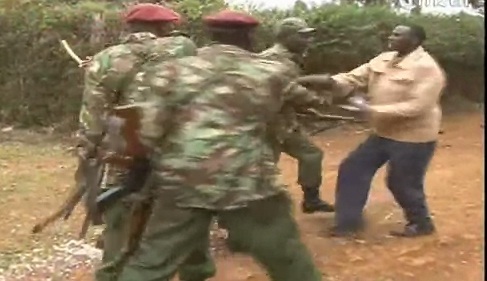 The U.S. State Department has warned its citizens of the risks of travel to Kenya. 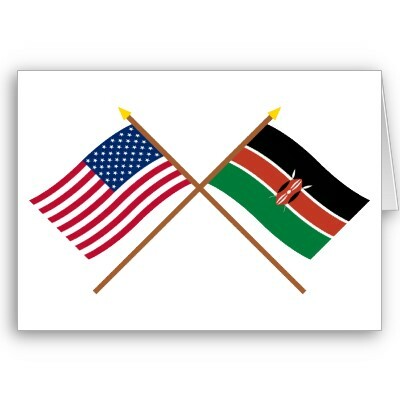 U.S. nationals in Kenya and those considering travel to that country have been advised to evaluate their personal security situation in the light of continued and recently heightened threats from terrorism and the high rate of violent crime in some areas. The levels of risk vary throughout the country, says a Travel Warning update issued on Wednesday. The U.S. government continues to receive information about potential terrorist threats aimed at U.S., Western, and Kenyan interests in Kenya, particularly after the death of Osama bin Laden. Terrorist acts can include suicide operations, bombings, kidnappings, attacks on civil aviation, and attacks on maritime vessels in or near Kenyan ports. Although there have been recent gains in the pursuit of those responsible for previous terrorist activities, many of those involved remain at large and continue to operate in the region. Travelers are advised to consult the Worldwide Caution for further information and details. As a result of recent attacks and threats, U.S. government employees, contractors, grantees, and their dependents are prohibited from traveling to the north-eastern province, including El Wak, Wajir, Garissa, Dadaab, Mandera, and Liboi. The travel restriction for Lamu has been lifted. However, the restriction remains in place for the coastal area north of Pate Island, including Kiwayu and north to Kiunga located on the Kenya-Somalia border. A former Catholic priest from the Nyeri archdiocese in Central Kenya was yesterday defrocked by the Vatican after he broke the vow on celibacy by getting married. Quoting orders from Rome, Archbishop Peter Kairo of Nyeri said Fr Peter Njogu Kibutu was no longer a Catholic priest. He read Njogu’s letter of dismissal from Rome to the congregation attending mass at the Nyeri Our Lady of Consolata Catholic Church yesterday. 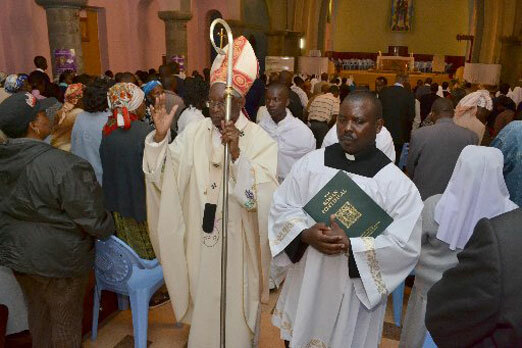 The letter pointed out that the priest accepted to be ordained by the controversial Archbishop Emmanuel Milingo and that he no longer upheld celibacy after he got married. But in a quick rejoinder, Fr Kibutu who is now a bishop of the Renewed Universal Church following the ordination by Milingo stated that he is no longer a Roman Catholic saying he left the church seven years ago. Archbishop Kairo in his message to the church said priests were supposed to maintain their priestly calling while Christians were supposed to be faithful in their Christian calling. He said it was important for the strengthening of the church and the family structures. 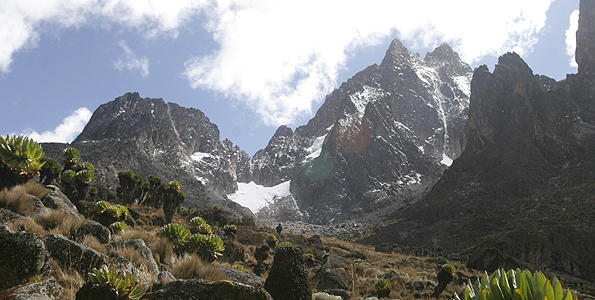 A man who was among 27 hikers has died while climbing Mount Kenya. Kenya Wildlife Service (KWS) said the 29-year-old whose name was not released immediately died late Thursday after falling ill. He was part of a hiking party from Nairobi which entered Mt Kenya National Park on Sunday and was due to leave Friday. “The deceased fell ill while hiking at Point Lenana of Mt Kenya. He complained of headache, chest pains and difficulty in breathing. He, however, managed to climb down to Mackinder’s Camp,” a statement from KWS said. An alert was sent to the KWS mountain rescue team who responded immediately. A helicopter from a private operator, Lady Lori (K) Ltd was dispatched and but due to adverse weather conditions it could not fly up the mountain. An ambulance with 10 rescuers was dispatched. “With the helicopter unable to go up the mountain, KWS rangers carried the patient for six hours down. They were joined by a paramedic team from Red Cross emergency unit led by Hashi Mohammed from Nyeri,” KWS said. Police have been informed of the fatal incident and the body was removed to Outspan mortuary in Nyeri. Now last night we brought you exclusive pictures of an incident where general service unit police officers accosted and beat up their administration counterparts during an encounter at the home of the father of Kirima’s third wife Teresia Wairimu in Mathira, Nyeri County. Now the incident raised serious questions about internal discipline within the police force as well as an urgent need for reforms within the force, especially on the issue of the chain of command, to ensure such security lapses do not occur again. Chris Thairu reports. 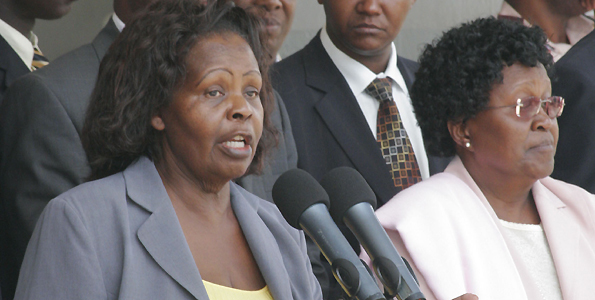 With just a few hours to the start of the Easter holidays, First Lady Lucy Kibaki has sent a message of goodwill to Kenyans. That message comes in a collection of Easter songs contained in a DVD sent to newsroom. It is not the first time the first lady is using her choir to communicate. It’s been over one year now since the first lady was seen in public.